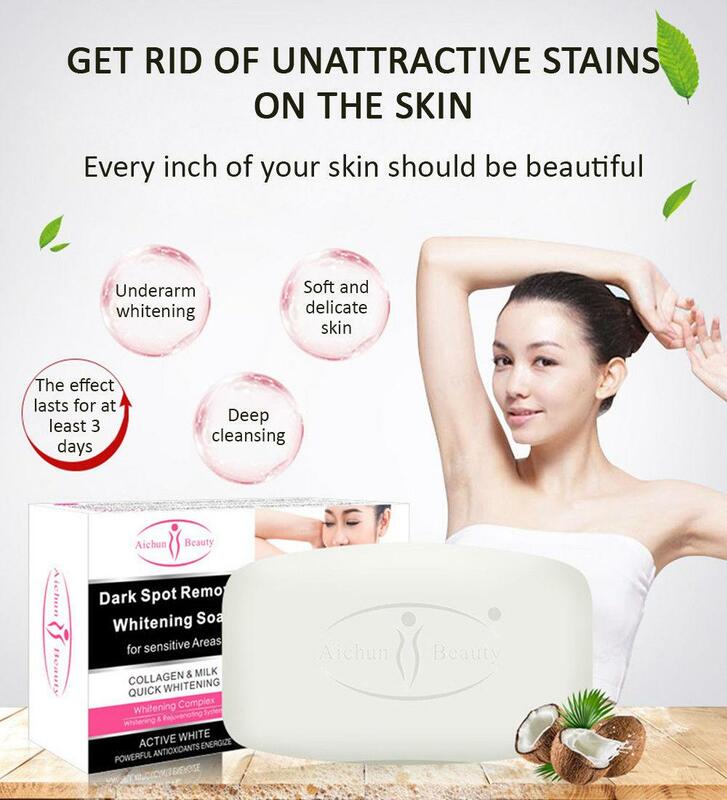 Get rid of unattractive stains on the skin.Underarm whitening.Deep cleansing.Soft and delicate skin. Your skin will change for the better. 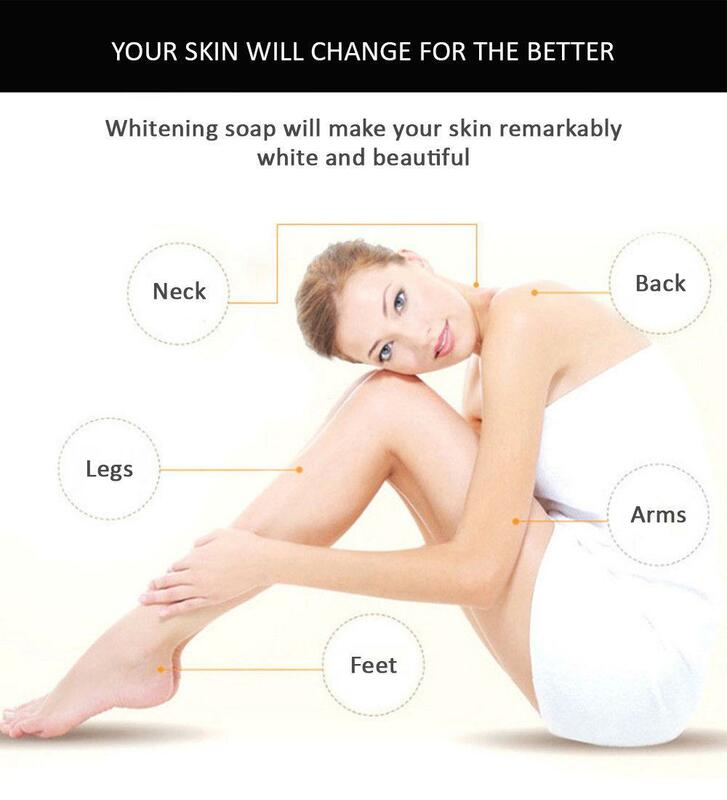 Whitening soap will make your skin remarkably white and beautiful! Confidence in the beauty of your skin. 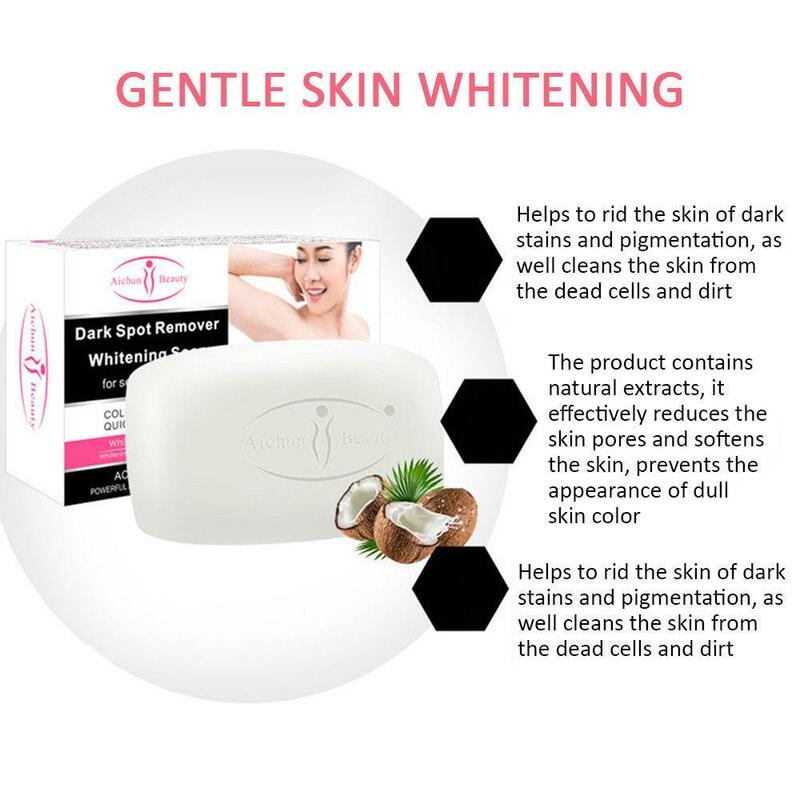 The product contains whitening extracts that cleanses the skin and quickly relieves the skin from dark stains, moisturizes the skin and gives it a fresh scent. The product gently cleanses and whitens the skin. 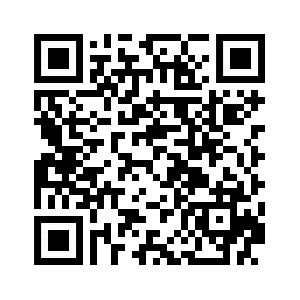 Take the product, add some water and make a foam, then gently massage body and face skin with foam, rinse with water. Helps to rid the skin of dark stains and pigmentation, as well cleans the skin from the dead cells and dirt. Effectively whitens the skin and gives it a beautiful shade, makes the skin soft and supple. Your secret weapon is confidence in your beautiful skin. After childbirth and regular shaving armpit skin tone becomes darker. The skin of the elbows becomes rough and darker with time. Due to the frequent movement of the knees, the skin becomes dry and rough. Due to age or hormonal changes skin begins to darken.